What are your most preferred Hohner Harmonica in Chromatic & Diatonic? I don’t really play much chromatic any more, but when I do I find the CX-12 excellent for my purposes. If I need a 64 chrom then my choice would be the Super 64X. If you like a wood comb on a 48 chrom, the 270 Deluxe is also very good. That said, depending on your preferences in terms of sound and playing feel, the instruments of the Progressive Series (Special 20, Rocket & Golden Melody) are also excellent and feature the same reeds as the Marine Bands, so they’re qualitatively comparable. I play primarily chromatic nowadays, and enjoy my 270 with upgraded mouthpiece, and my CX-12 very much. On diatonic I had been using the Golden Melody until I got a Special 20. I’m very impressed with the Special 20 as to its playing comfort and tone. I wrote a long and favorable review of it on Amazon, which in retrospect seems almost gushing, but yeah, I like it. Thanks Joe! The Special 20 is indeed an excellent diatonic model and in my opinion more comfortable to play than the Golden Melody. Happy Easter! Since a few weeks I’m the proud owner of the Super 64 X 2018! I hav’nt played a lot yet. But I love the sound of it. It is a bit heavy in the hands, but the instrument gives a very smooth feeling to my hands. I also own the “old” 64chrom. I prefer the chromatic sound to a diatonc harp sound for all songs, but the Blues. For only playing the Blues I love to play also the marine band Special 20 and the cross over. I have them in almost every key (without the lows) and don’t want to miss them. These are my Hohner friends. 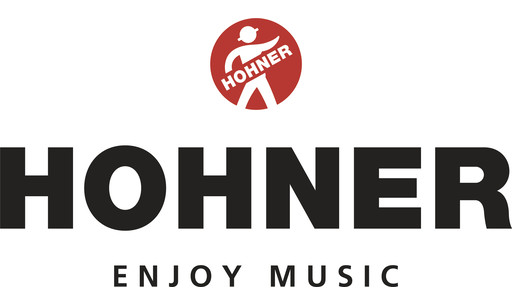 I’m a fan of Hohner instruments. I confess, I tried also the Seydel instruments onces (which are also excellent harps like a lot of harpers say), but they are not made for me. They are too stiff for my mouth-feeling, while the Hohner instruments in my way of playing are soft like chewing gum! The most widely used type of chromatic harmonica for classic blues is a four-octave chromatic in C with 16 holes. Hohner Model 280 (or 64, because it has 64 reeds). Super 64, and Super 64X are the main Hohner models. The standard 280 is the lowest priced and is a fine instrument; it’s what Little Walter used for his classic recordings on chromatic. Hering and Suzuki both make four-octave chromatics. Hering instruments are airtight and responsive, but many players find the tone too bright for blues, and the reeds don’t stand up to heavy playingas well as Hohner or Suzuki reeds. Suzuki makes some excellent chromatics as well - check ouy the SCX64, and the Sirius 64, which is just now being introduced. The four octave chromatics give you an extra low octave below Middle C. When you’re playing in D using the big open D minor6 draw chord, that extra low range really makes for a big, dark, gritty sound. You can hold in the slide to play the same way in the key of Eb. But to play in the same way in other keys, you may need another key of chromatic. The big 16-hole chromatics come only in C, but the smaller 12-hole chromatics (with a three octave range) comer in 7 or 8 keys. You will find recordings where players such as William Clarke, Paul deLay, and George Smith played other keys of 12 hole chromatics, using the draw chord as the home chord (this is also called third position, which may already be familiar to you on diatonic). If you’re going for a three-octave chromatic, then Seydel is also worthy of consideration. This Eastern German manufacturer is actually older than Hohner and has 12-hole chromatics in several keys. I’d recommend their Deluxe model. A word about keys and ranges on 12-hole chroamtics. The 12-hole C chromatic has the same range as a diatonic 10-hole C harp. In the Hohner line, all other keys are pitched lower. So the F, E, Eb and D are all like the low versions of diatonics. They even make a tenor C, an octave lower than a standard C.
However, in the Seydel range, the 12-hole chromatics in D, Eb, E, and F are all higher than the C harp. Generally, you want the lower pitched sound for a chromatic in blues.